We absolutely love our National Trust membership, in fact i'd go as far to say it's some of the best money we spend all year. There is nothing better than exploring one of their amazing sites which are brilliantly geared up for a great family day out. 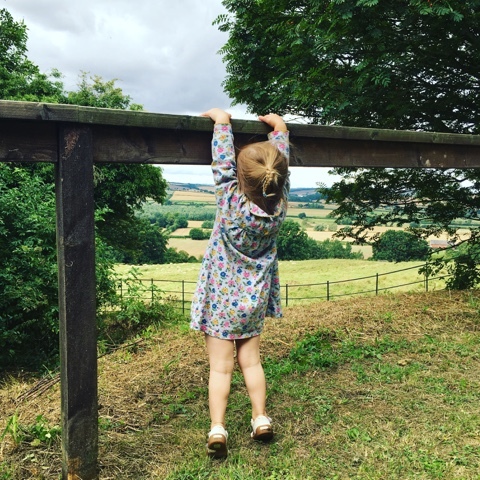 The girls love being outside in the fresh air, with space to roam and 'be wild' with things to discover around every corner. 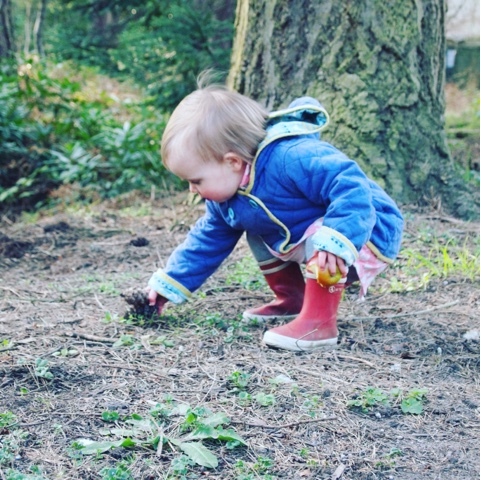 To me, adventuring outdoors is childhood epitomised and it's magical to watch my girls explore the world around them with wonder, whether they are building dens, climbing fences or picking up pine cones. Children today spend 57% less time exploring outdoors than their parents and grandparents did – on average just 1 hour 20 mins a day, vs. 2 hours 40 mins (parents) and 3 and a half hours a day (grandparents). I was really shocked at this but with busy schedules and technology I can see how it might have happened. 87% of parents and grandparents said they enjoy seeing their offspring running wild and carefree, with 80% taking pleasure from seeing them playing outdoors away from a technology device. It is the most lovely feeling and I honestly love nothing more than watching my children enjoying being outdoors and 'free range'. In addition, 95% of parents and grandparents agree that it is important for children to connect with nature so that they can build a relationship with the great outdoors and help future generations care for and protect it. This is so important and something I definitely want to instill in our little ladies. They also found that nearly half (49%) of grandparents take on the role of childminding more than twice a week to support parents, with this increasing during the school holidays by almost two-thirds of grandparents (61%). A whopping 9 in 10 (92%) said that when they do spend time with their grandchildren, they are keen to actively encourage them to take part in explorative outdoor play rather coop up indoors. 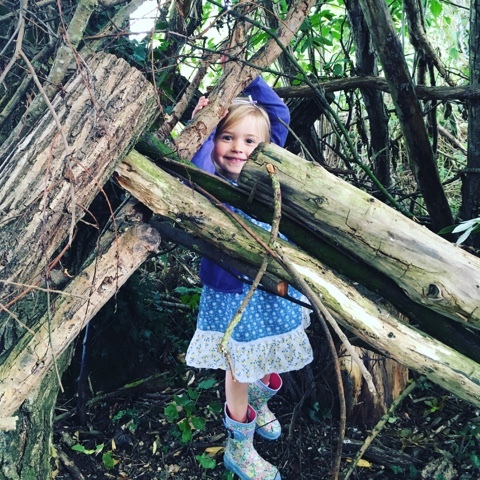 The National Trust wants to encourage children to explore the world around them as their parents and grandparents did, exchanging screens for scenes. This is something I'm a huge advocate of and we have many outdoor adventures planned this Summer to keep us busy throughout the holidays. Wishing you lots of 'wild' adventures with your littles this summer and good luck! - Entrants must log in via the Rafflecopter widget and enter either by leaving a blog post comment, visiting 3 little ladies and me on Facebook, Following 3 little ladies and me on Twitter, ortweeting a message. - Entrants may select as many options of entry as they like within the rafflecopter widget, the number of entries into the giveaway is dependent on which options are selected. These are clearly stated next to each option on the Rafflecopter widget with the opportunity of a total of 20 entries per person. - The winner's contact details will be passed to The National Trust who will send out the prize directly to the winner. Definitely looking forward to picking blackberries and make apply and blackberry pie! We've already done a few of these. But we'd love to, Go on a nature walk at night and Set up a snail race.